Death Metal and Doom Metal always tend to go hand in hand; typically with one, you have aspects of the other, whether it be a slower, heavier Death Metal song that pulls its influence from Doom or the guttural vocals being influenced from Death into Doom. 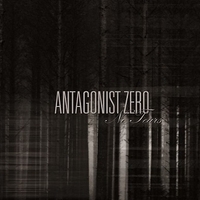 ANTAGONIST ZERO though bring something with a rather different idea to the table, this is a band that can be counted as both instead of just being counted as a mix. Mainly stemming from Doom Metal though the new 5-song EP entitled “No Tears” is something special; 3 new songs, as well as 2 covers, may make any fan of this band not realise it’s not a new album. This album has two modes; the first of which being half of the first song, “No Tears”, most the second song, “Profound Oblivion”, and nearly all of their DOOM:VS cover of “The Lachrymal Sleep” is a heavier Death Metal sound. Vocally, this band has one of the best displays of Death Metal, the vocals mixed with the slower sound of Doom create such an atmosphere that can send chills down your spine, I would not recommend listening to this while you sleep as it may be nightmare inducing. As for the second mode of this album, it’s more of an operatic Doom sound that covers everything that wasn’t mentioned above. “Suru” and the bands cover of JENNI VARTIAINEN’s “Missa Muruseni On” purely consisting of the pure Doom sound; these songs are slower and feature all clean singing. The vocals in these sections throughout the album are beautiful and show a nice set of contrast between the fear that the harsher vocals can be set to bring and the purity of the clean vocals. ANTAGONIST ZERO’s lyrics seem to be solely in their native language of Finnish and although I may not understand what they’re saying, this album is still quite amazing and for any Doom Metal fan or anyone looking to get into Doom Metal this is a definite place to start. If you’re just here in hopes of Death Metal, this album still has something for you and may even make you a fan of something new. Out through Inverse Records, “No Tears” is something worth picking up.